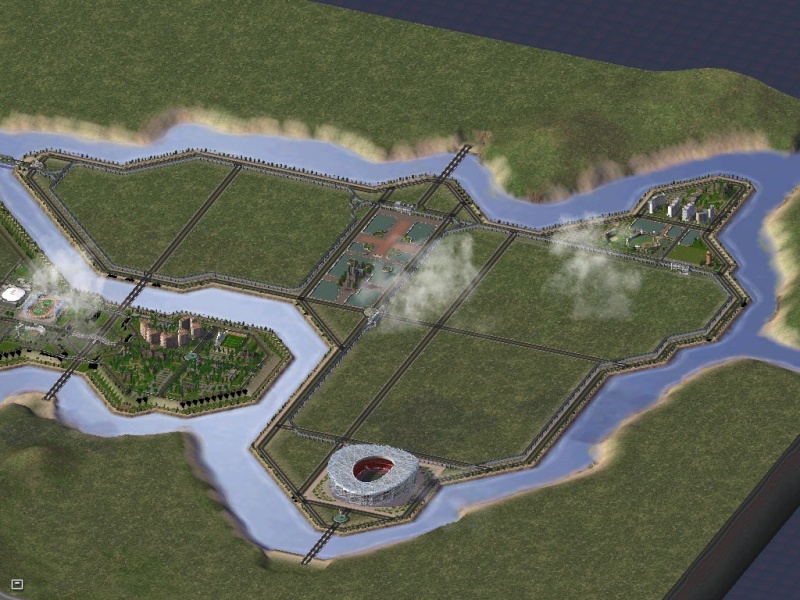 Ok so here is San Siro, well..... the embryotic version of San Siro as I have just built some of the sea walls and some of the major roads that will make up my capital city. I'll start by highlighting one of the most developed (if you could say that) portions of the city Colina de la Fortaleza; or Fortress Hill. 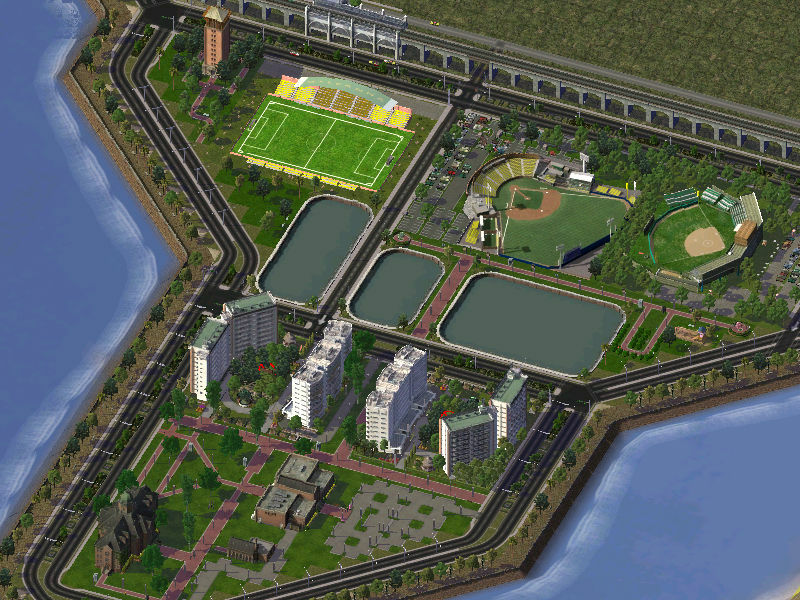 This is where I plan to build my university as pre mentioned in K50's CJ. I am naming the university Universidad de la Colina de la Fortaleza, I recognize the fact that this is a mouth full so I will refer to it as UCF (not to be confused with the University of Central Florida). 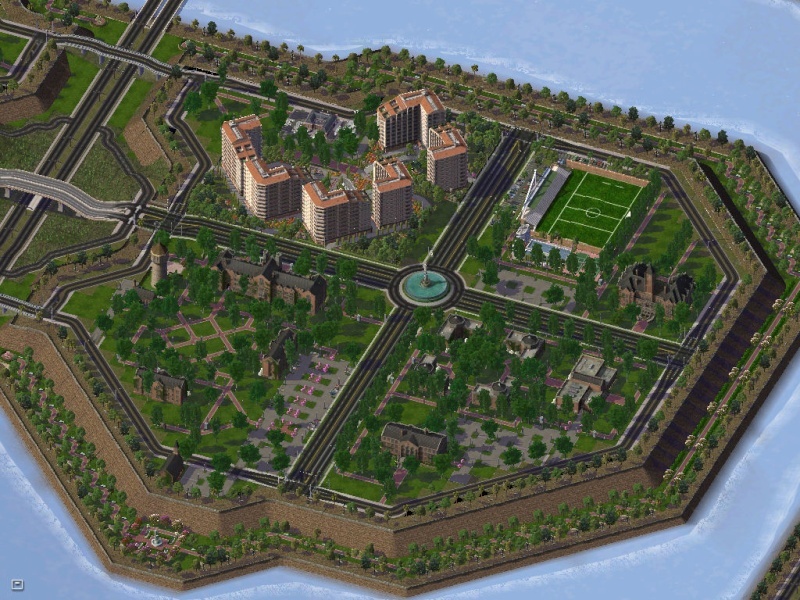 The University will provide the state funded education, as opposed to the Catholic University I will be placing some where else (TBD) in my capital city. the last thing I would like to highlight photo wise is this little ditty which was.... fun..... to construct but I think it will look good especially when the tree's come in and I'm looking foward to how it looks with the buildings from the university up on the hill there. I'll also look forward to how it looks when I have finished the NAM work on the area which if you look closely in this picture and the previous 2 you will see I've begun. I recognize that I still had the grid turned on (why I forgot to shut it off I have no idea) in particularly the last picture I plan to rectify this for the next up-date. I also notice that I am having a few display issues, mostly in my sea walls, this is likely due to the fact that I have not downloaded all the dependency's yet for the sea walls.... I just wanted to get this going first before I got everything cleaned up. I plan to download some terain and water mods in the future I just wanted to show you guys how the city evolves from nothing into something. 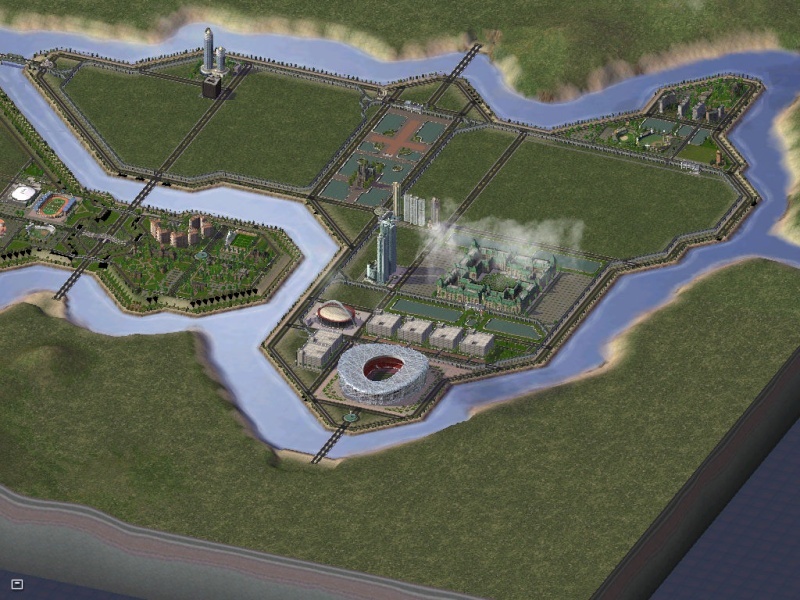 I also recognize that the low lying land that will constitute my capital is un-realistic, as I will later explain with my back story the island is in the Caribbean ocean which is prone to hurricanes and other large storms... having a wall clearance of about 5 feet would spell disaster for a city. 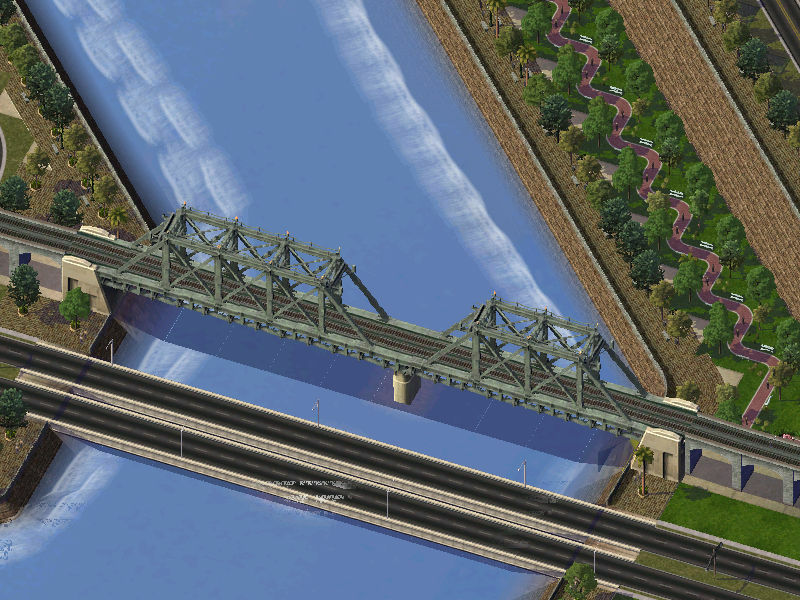 I plan to include more realistic storm surge protection at the entrance to those rivers from the sea. I also know that the super strieght shorelines is un-realistic, it will be assumed that as the city prospered in it's up-bringing a large sum of money was spent on infrastructure improvements like sea walls and flattening ground in the area to better facilitate construction. Finally I notice there is no fresh water supply on the city and in-order for there to be civilization there needs to be fresh water... I considered saying the rivers were freshwater but they have no source they all come from the ocean so this is unrealistic. 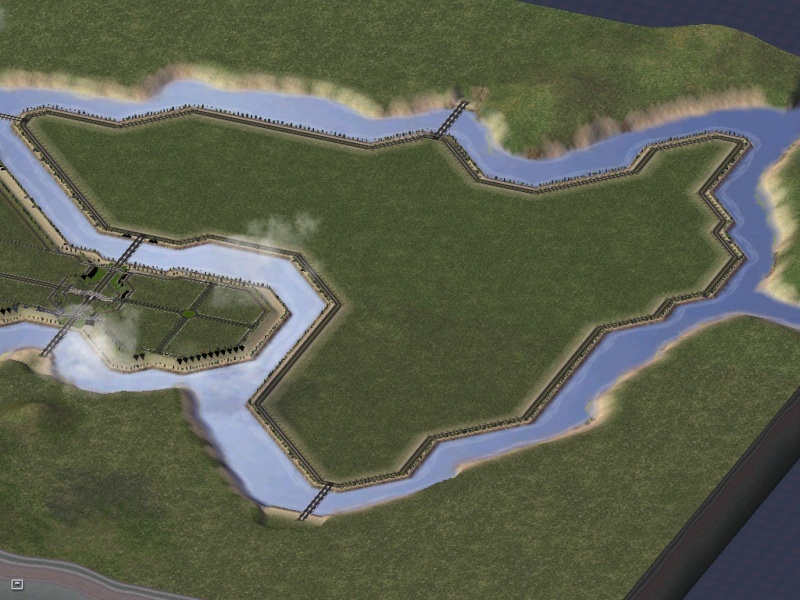 I decided using the canal's I will be creative with geology and a spring system to explain a fresh water source in later updates. Yeah layout looks great, awesome work so far! Thanks for your kind words, I too can't wait for the city to start taking shape but it's always hard to get that vision in your head down onto the screen it will be a fun challenge. The UCF update will come at the end of this week on Thursday or Friday depending on how busy my RL is in the later part of this week. Old University Field: Home of UCF athletics from 1883-1959 was replaced by University Stadium in 1960. Home to Lacrosse and Field Hockey events. University Center (white building next to University Pool): A fully functioning gym with weight room, basketball courts, and climbing wall. Home and Away Locker rooms for University field. State of the Art sports medicine facilities, and a smoothie shop. Rooms for coaches to study film and have meetings are also in this building. University Stadium: Home to UCF Football (Soccer), and Track and Field. Football (Soccer) will typically draw a sell out crowd of 5,000 people. Max- well that's the goal isn't it? 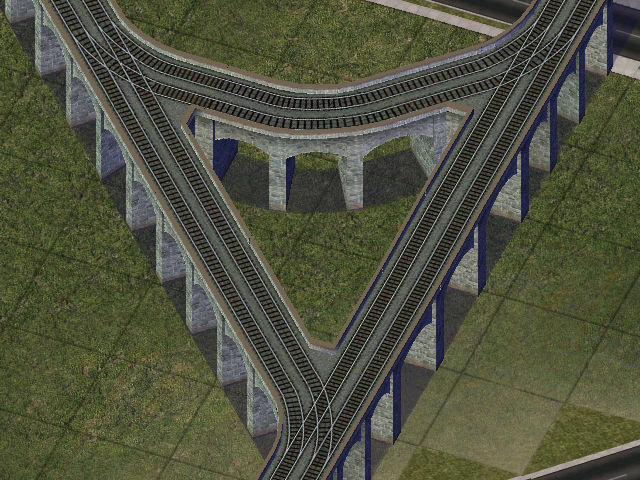 I like this El- Rail and I'd like to use it on my island but I'm having one minor problem with it. 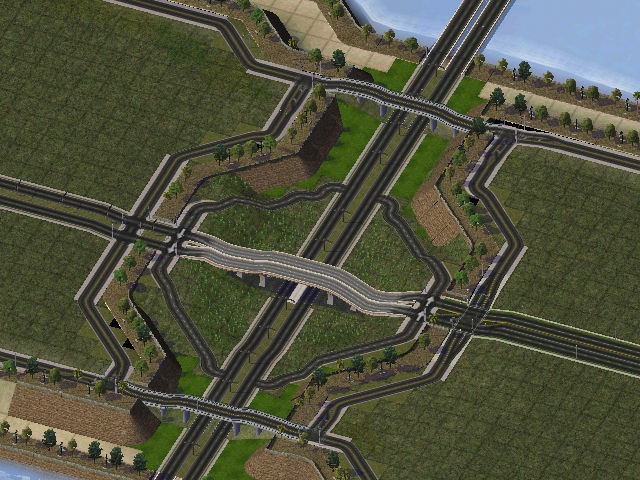 When building an intersection like the one shown below that is on the maxis ground rail. 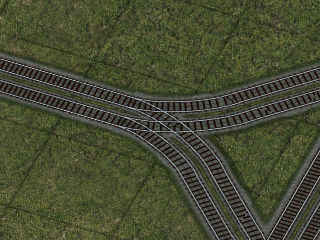 I can't find a way to make a fork in the rail like the one shown below. which is fine and well and all.... but it's bulky and takes up more space than I would like. It's the number one party school in the USA can you tell? 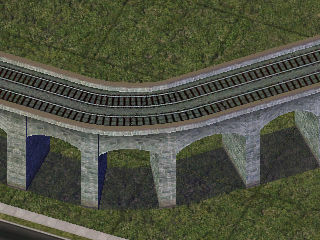 Well the wide curves I did consider using where the rail curved but stayed strieght but I scrapped it in favor of a smaller curve because the rail sort of mirrors that outside road shown in the first picture of update one. 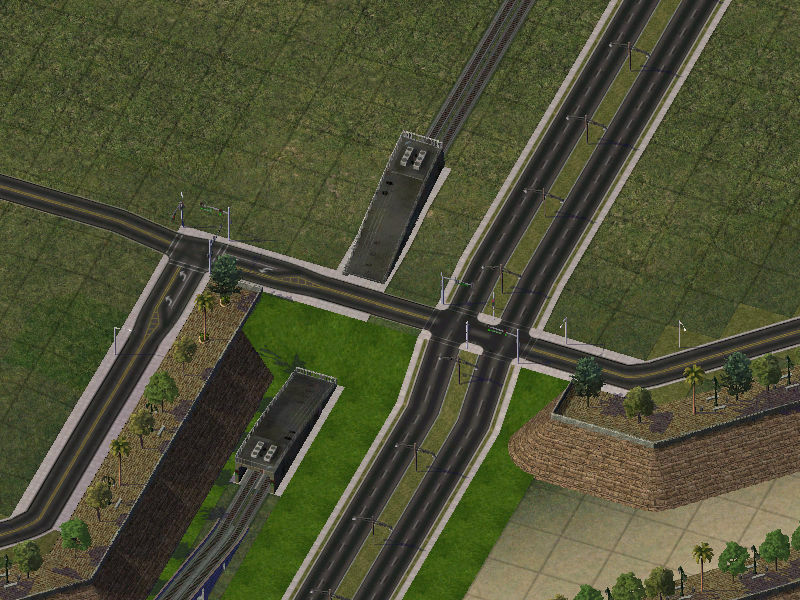 Unlike in real life the roads came first for me. I guess I'll just have to deal with the strange curves like that I only have 2 so it's not that big of a deal. 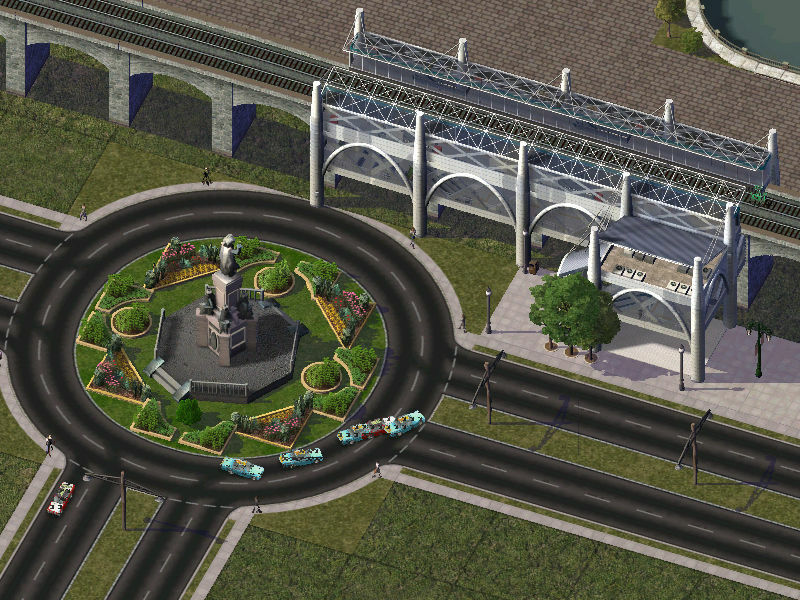 On a semi related note anyone know of specific stations to go with this or will any El-rail station do? 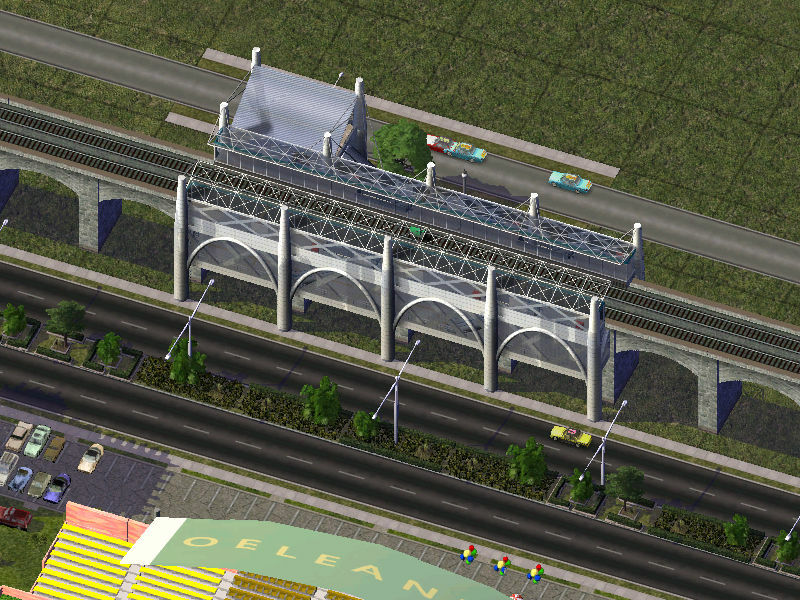 Elevated Rail (subway/glr elevated rail) uses Elevated Rail stations. 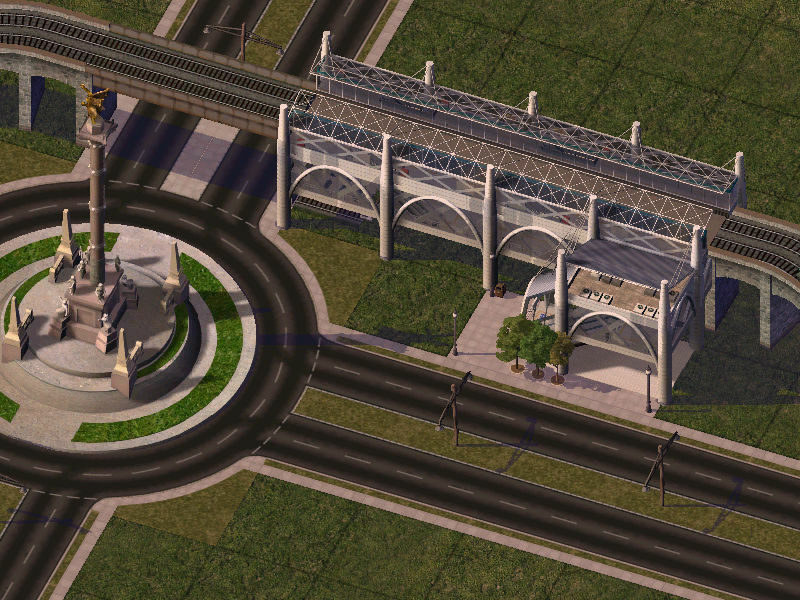 The Rail Viaduct (what you use) can't use those stations unfortunately. ok so I apologize for the lateness of this, this will likely be this and next weeks update just because of my life getting a little crazy the past week and a half or so. Old Main: Aka- The Dome is the only class building on campus. It provides as both a university chapel, and class building for the university. The towers of god: nickname to the 4 dorm buildings. The inner two are housed by liberal arts students and are furnished more apartment like similar to there cousins on UCF with bedrooms and a common kitchen room per suite. The outer two are housed by the biblical studies students and are far more traditionally furnished, with basically a bed and a desk. At the bottom of each building is an identical library, the inner two buildings also have computer labs on the second floor. Catedral de la trinidad santa, or Holy Trinity Cathedral was built in the late 1700's in the Gothic style at the heart of San Siro's Capital. 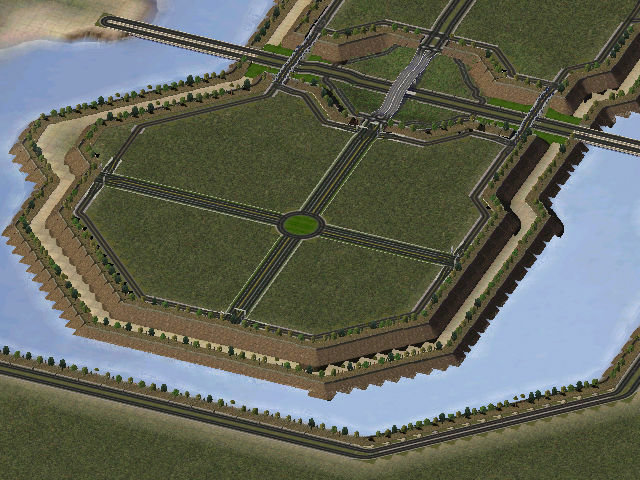 The Building sits on an island at the center of a small pond near the center of the main island. 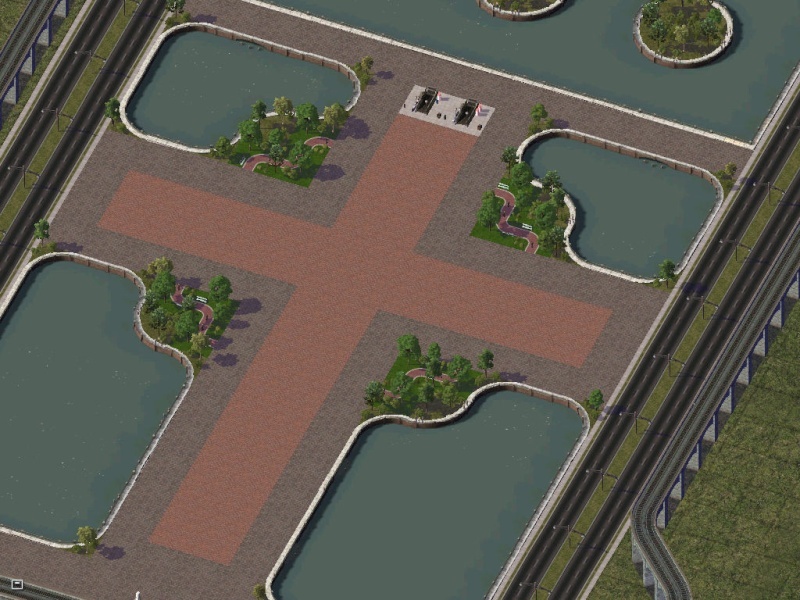 3 bridges emulate out from the cathedral and it's plaza to form a cross in the island with the Cathedral at the center. at the top of the pond behind the cathedral are 3 man made islands that represent the holy trinity for which the cathedral is named. 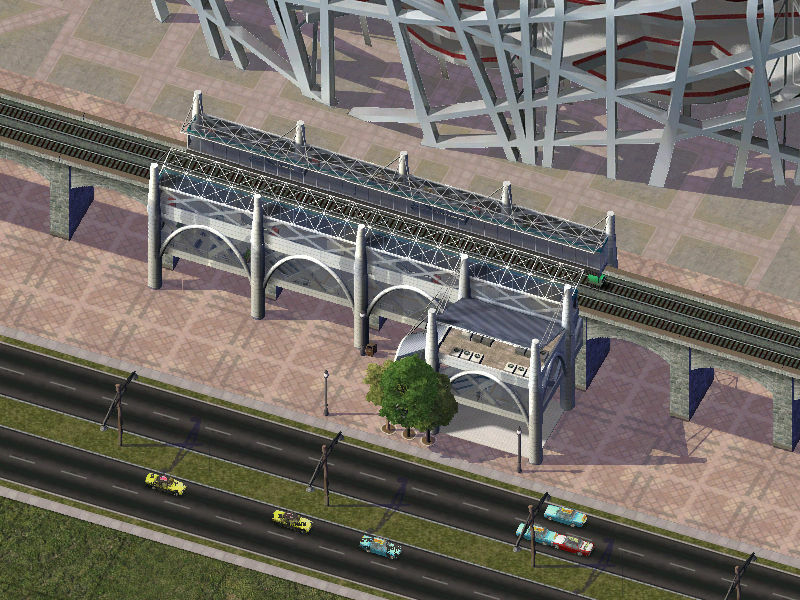 The local line on San Siro's capital is an Elevated rail line due to the low lying proximity of the island. 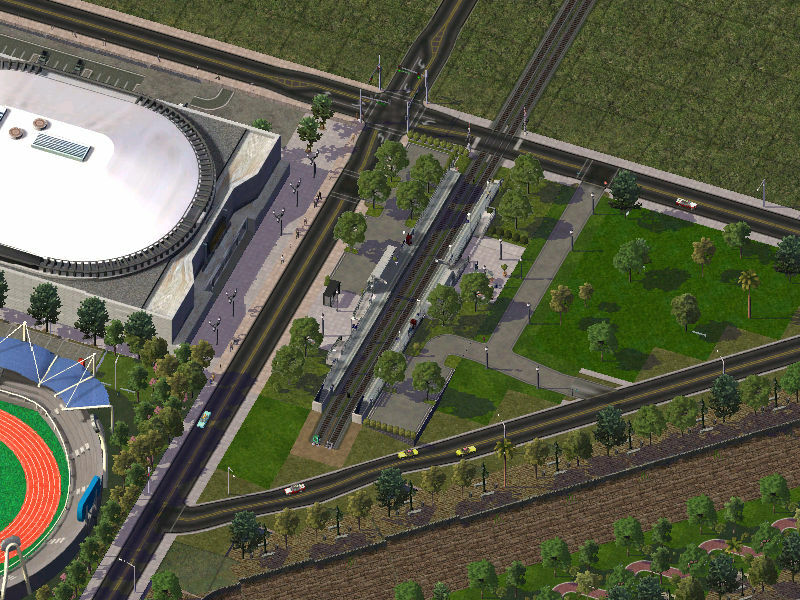 It was felt that putting a subway system on the island could be disastrous in cases of flooding. 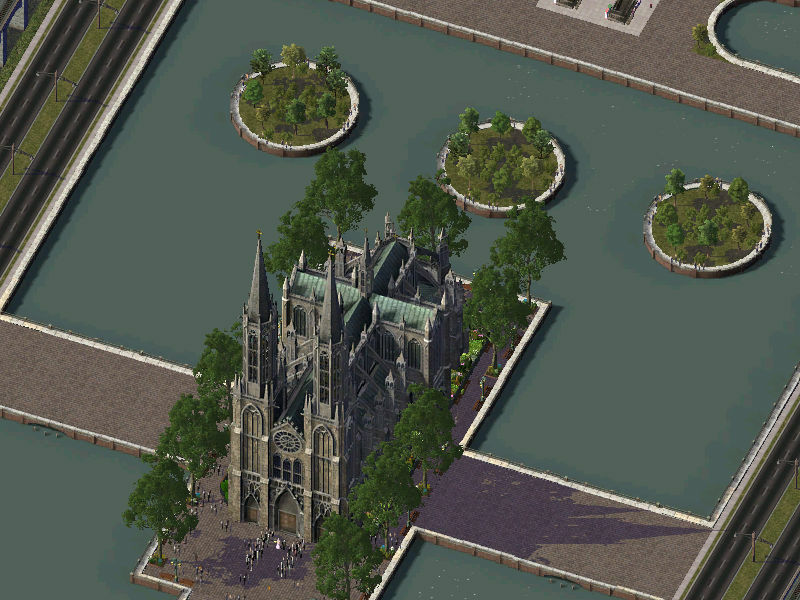 Great Update I love the tie in of religion around that University. Cross park is very nice and I especially love the Trees around the Cathedral. 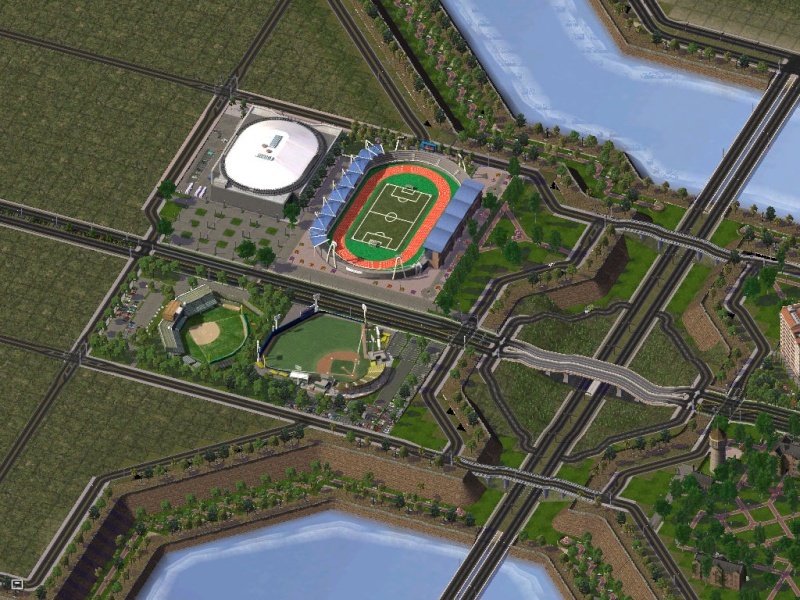 also the Birds Nest looks good there honestly and don't forget that you'll likely draw from the neighboring city tiles for Matches there anyways so a larger stadium could be applicable. 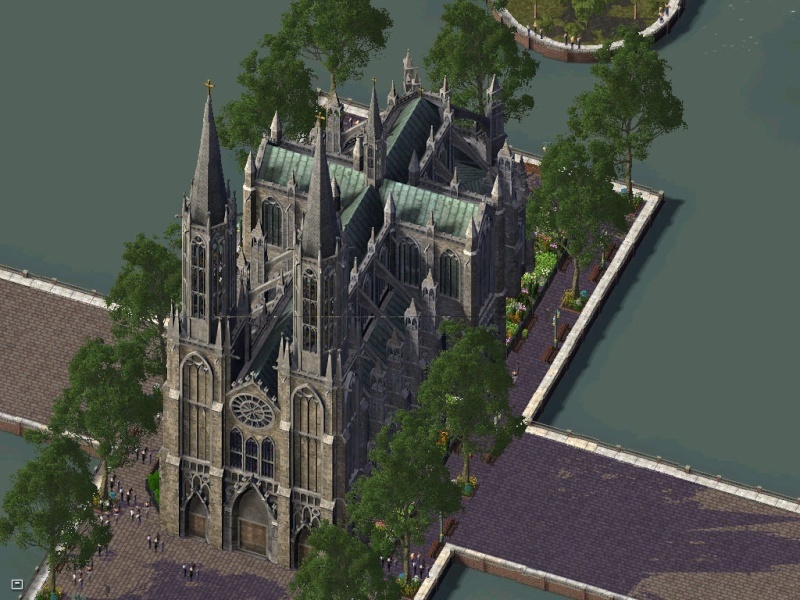 Thanks Canuck, I can't take credit for the tree's around the cathedral it's part of the lot, it's an incredible lot I had to use it. I think the bird nest looks good there as well, I'm curious to see what my population ends up being for the region. I'd love to use that lot because it's immaculate, the capacity is 80,000, I feel that a population of around 750,000 should be efficient for that to work well I'd expect around 10% of a population to go to a sporting event. How many are you allowed? 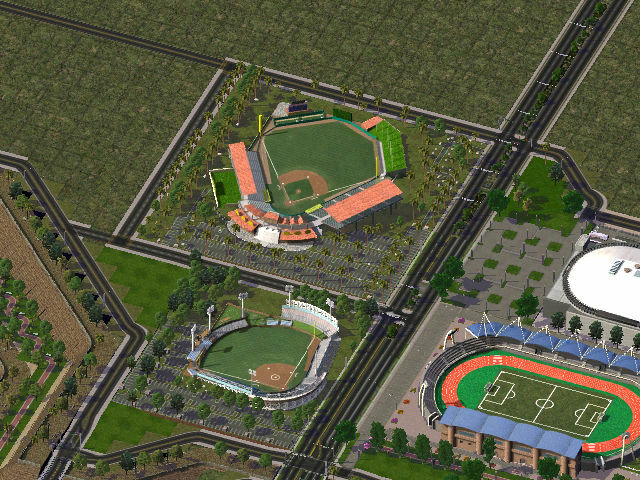 This gives me a good idea with Linktoria with baseball and soccer! Hey guys, small update today, just showing you what I've been working on this week.